As we close out the 2019 holiday season, we share tips for showing appreciation to those we celebrated with, and how to tastefully manage the overload of new gifts in your home. 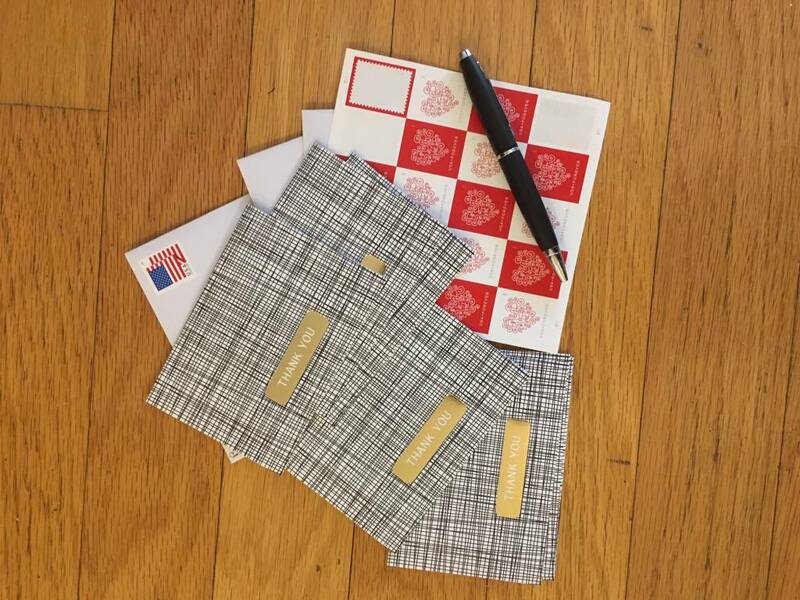 Thank you cards: A total must! Whether it’s a quick note to thank the host who cooked for everyone or relatives who gave sweet gifts to your kids, nothing is more meaningful than a hand written note. Hand written is certainly best and don’t wait more than a few weeks to get these out the door. Returns: Returning is totally normal. Maybe your child has the same, or similar toy or is too tall for the sweater grandma got him or her. But returning just to stock up on cash and gift cards isn’t the best way. Remember that these give givers took time and thought into selecting something they felt was just right for your little one. Exchange the gift instead for something you prefer, or is a better fit. Regifting: Typically this is seen as a big “don’t do,” but there are certainly exceptions. Is the gift you received one you already have but may be perfect for your child’s buddy’s upcoming birthday? Then let it be! Definitely avoid regifting within the same family you received and don’t put on a community swap page online. Nothing’s more awkward than the gift giver seeing it for sale on a page like that! Spread out the Fun: It is certainly overwhelming for kids to engage in all their new gifts after the holidays. Pick a few that you want to hold back on and save for the element of “something new” a few months down the line. This is especially helpful on snowy weekend days in February. Don’t forget the Food: It’s not just about gifts around the holidays, but we all know food is a huge factor. My mother in law just emailed me the recipe for a dip she had out that I loved. It was super sweet to receive and recipe sharing in the family is a sure sign of affection. Share recipes and ask for those you enjoyed. Hosts will feel good too.